Added on August 21, 2013 by Monica Song. 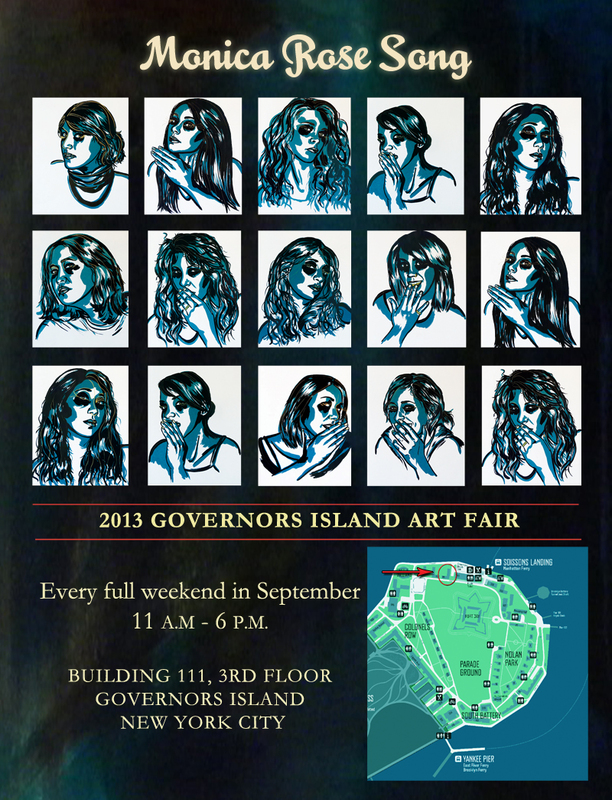 I am thrilled to announce that I am an Artist in the 2013 Governors Island Art Fair! The show takes place every full weekend in September. I am in building 111, 3rd floor. For more information on the Governors Island Art Fair, click here. For the East River Ferry Schedule, click here. For the Manhattan Ferry or Brooklyn Ferry, click here. I hope to see you there. Love and Magic to you all! Added on January 22, 2012 by Monica Song.